Even though Tales from the Crypt was winding down its seven-season run on HBO, CBS decided to fill the Saturday morning void left by the cancellation of the animated spin-off, Tales from the Cryptkeeper. They acquired the rights to the franchise and developed a new children’s program based around it. However, instead of another anthology series, they decided to make a game show. 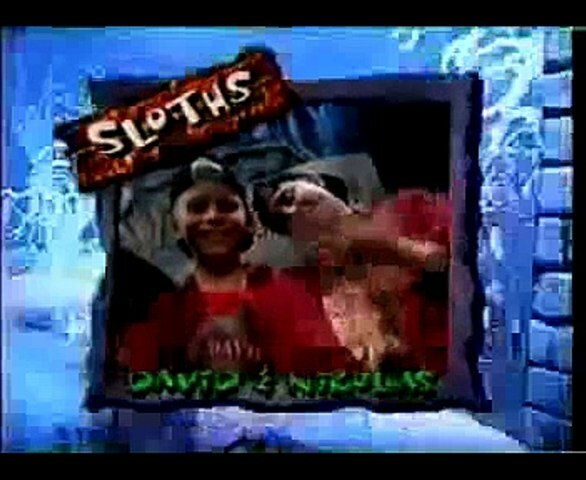 Created by Eytan Keller and Jack Wohl, the series was filmed at Universal Studios Florida on a mixture practical and CGI set designed by The Post Group’s Dale Mayeda. It was laid out like a carnival haunted house complete with a creepy cemetery, sub-level and secret passages. Two teams of two children would compete in various challenges around the set for a chance to win a Macintosh Performa 6300, with a set of Grolier’s New Book of Knowledge going to the runners-up. Each team name was derived from something creepy, from science or some kind of animal; such as Amoebas, Hogs, Newts, etc. The Cryptkeeper ready to heckle you to your grave. 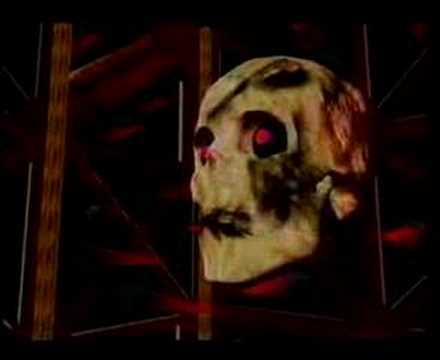 Unlike the animated series, Secrets didn’t shy away from using the original Cryptkeeper puppet from the HBO series. The Cryptkeeper (John Kassir) was on hand on a separate set, watching the events of the game unfold and offering friendlier chides than he would on HBO towards the competitors. Although he was prominently featured, he wasn’t the host of the show. Instead, those duties went to Steve Saunders, who was on hand on set to guide the teams between challenges and inform them of the rules. Also on hand was Digger (Danny Mann), a virtual skeleton head the presided over three of the challenges and would also throw minor insults at the players to throw them off their game. Digger’s effects were rendered by Simgraphics Engineering Corp., and his mouth movements were timed to whatever his actor would say. Secrets of the Cryptkeeper’s Haunted House debuted on CBS on September 14, 1996. The show utilized Danny Elfman’s theme from the HBO series, while Robert J. Walsh provided the rest of the music. 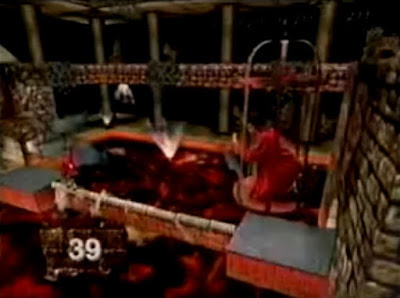 Each episode was comprised of five rounds, called “frights”, with nine different frights in total. The first, third and final round were always the same, being Fireball Alley, The Incredible Shrinking Room and Skullduggery. Defending tombstones from Digger's spew. Fireball Alley had one player from each team in turn facing off against Digger on a “rickety” bridge as he spat “fireballs” at them. The object was to protect the row of headstones behind them while also keeping from falling off the bridge to their doom. For each remaining headstone, Digger would list a series of four people, places or things and both players on the team would have to identify the relationship between them in order to gain points. The Incredible Shrinking Room had each team racing against the clock to complete a series of six words with missing letters. Digger would appear at the beginning to announce the relationship between those words. As the room shrank on the team, one member would relay to the other end of the room to retrieve a letter the other called out in order for it to be filled into the words. The team gained points for each word correctly solved, and additional points for finishing all six and calling out the password (the first word on top). Skullduggery saw one player from each team racing against each other through four rooms in the Cryptkeeper’s mansion looking for skulls within a limited time for each room. They would then join their teammates in the graveyard where they would stack each skull on a waiting stake. The winning team was the one with the higher stack, or the ones who stacked theirs the quickest in the event of a tie. Death by fire or by wind...your choice! The second fright was usually the Worminator, but would sometimes alternate with The Swamp from Hell (yep, they managed to use the h-word on a kid’s show). The Worminator had each team traverse a wind tunnel while carrying and exchanging balls at certain intervals. The object was to get as many balls as possible in waiting baskets within the time limit without dropping any or falling and being “vaporized”. The Swamp from Hell found one of the players suspended over a CGI swamp of lava. The other player would jump on a trampoline in the yard to try and grab bags of dangling skulls above. For each one successfully grabbed, they would be waiting for them at the Swamp to be carried over a narrow path to the other side. Completing that task in the time limit freed the trapped player; failing or falling in resulted in vaporization. Hanging in there in The Abyss. 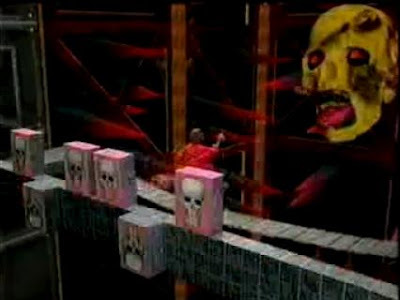 There were four different challenges that would alternate for the fourth fright: The Abyss, Ghost Battle, Endless Hallway and Vampire’s Lair. 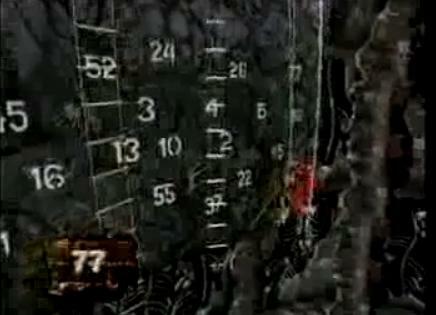 The Abyss saw one player moving between rope ladders in a cavern to climb to answers for questions read out by their teammate. They would gain points for each correct answer and had to race the clock and keep from falling into a hungry spider’s CGI web below. Ghost Battle gave Digger a full body and pit him in a 90-second joust against the players (although Digger never actively struck the players). Each tap of his shield was a score, and five taps would defeat him completely. Endless Hallway had one player on a treadmill for 75 seconds going through a virtual hallway while trying to memorize details about it. At the end, the team would have to fill in an appropriate blank with an item seen in the hall. Vampire’s Lair had one player calling out directions to his teammate as they would traverse a dark room briefly lit by strobes. The object was to reach a switch in the middle of the room within 45 seconds in order to awaken the vampire within. The quicker team won the challenge. 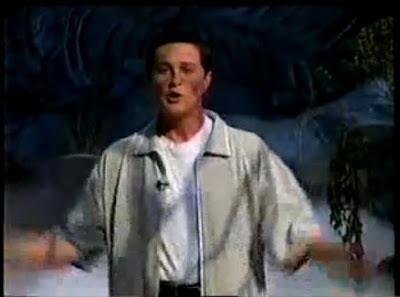 Secrets didn’t fare too well in the ratings, and was put to rest within the year; ending its run in August of 1997. It was replaced in the line-up by Wheel 2000, a kid’s version of Wheel of Fortune. Not ready to give up on the license yet, CBS decided to revive the cancelled Tales from the Cryptkeeper for a third and final season in 1999.